Die-Pat chrome plated 1/2" basin taps with 3" and 6" levers. 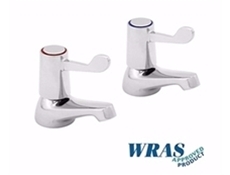 These lever basin taps are WRAS approved. 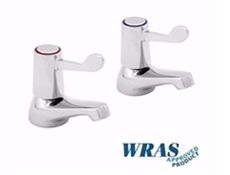 Basin Taps with Levers - 3"
Basin Taps with Levers - 6"